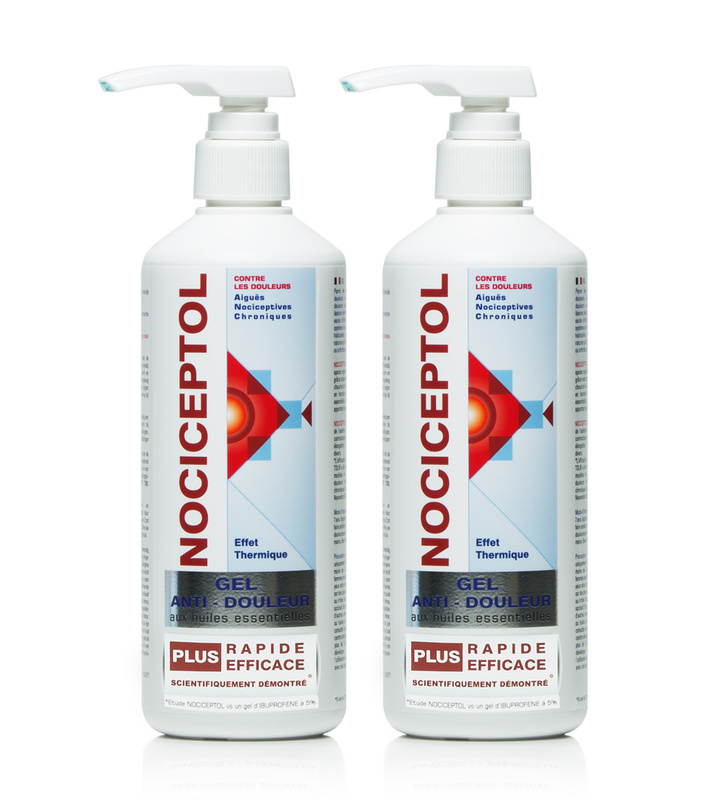 The NOCICEPTOL® pain relief gel is a gel which quickly soothes and relieves muscle, joint and post-traumatic pain, thanks in particular to its combined hot and cold action. The thermal sensation varies from user to user. The essential oils help improve its effectiveness with their natural properties. often used to relieve joint and muscle pain. known for its absorbent effects. known for its stimulating, invigorating and antineuralgic effects. known for its effects against muscle pain and rheumatism. refreshing like a toner, generally stimulating and known for its anti-inflammatory effects. known for their toning and refreshing effects. Adults and children above the age of 7. Massage in gently, without pressing hard, 3 to 4 times per day to painful areas. The POLIDIS® Laboratory is a human-sized company has built its reputation in the medical devices sector. Labelled as a FRENCH MANUFACTURER and with the excellent reputation of its products, the POLIDIS®Laboratory is a preferred partner in French pharmacies.